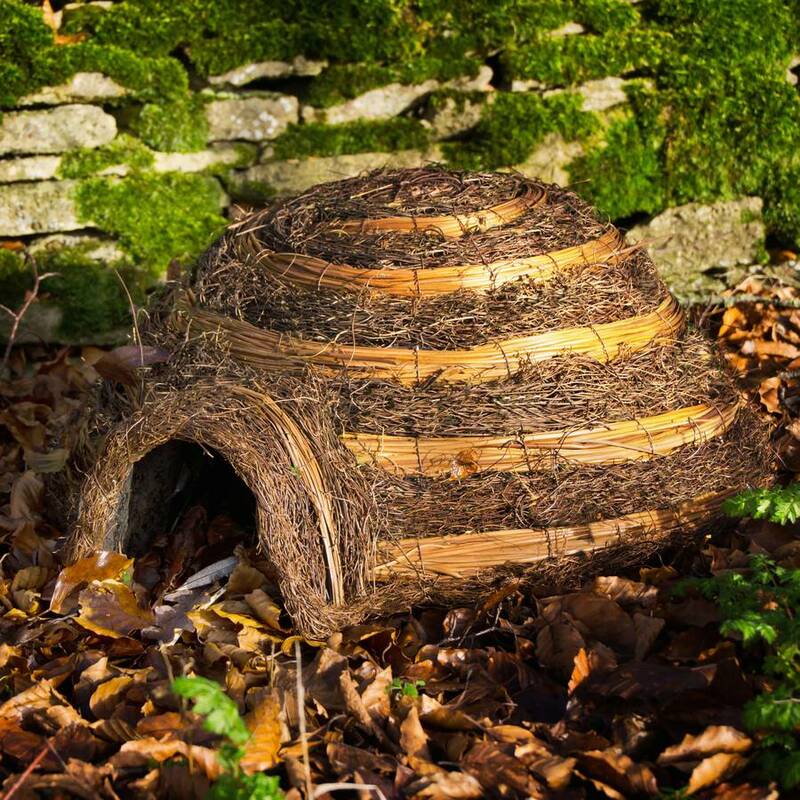 The wicker House offers hedgehogs and other mammals a safe retreat from the many hazards of modern life and provides children with a fun project. Keep hedgehogs safe from dangers such as garden strimmers, forks and tools, pets and predators such as badgers and foxes. This habitat is much safer than the compost heap or bonfire where hedgehogs are in danger from garden tools or the being burnt. The house can accommodate family groups such as mother and hoglets. The small entrance tunnel is designed to deter predators such badgers and dogs. 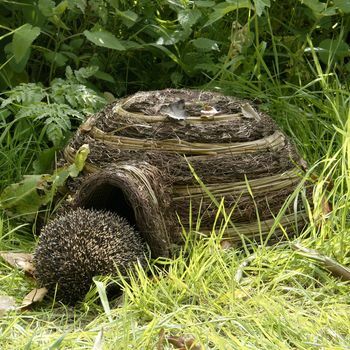 The house is predominately designed for shelter but may be used for hibernation if additional brushwood cover is provided over the igloo in winter. Siting Locate the Igloo within cover, out of the prevailing wind. Pile leaves or foliage around the house to further camouflage it. Place cutshort lengths of dry grass or leaves inside as nesting material. 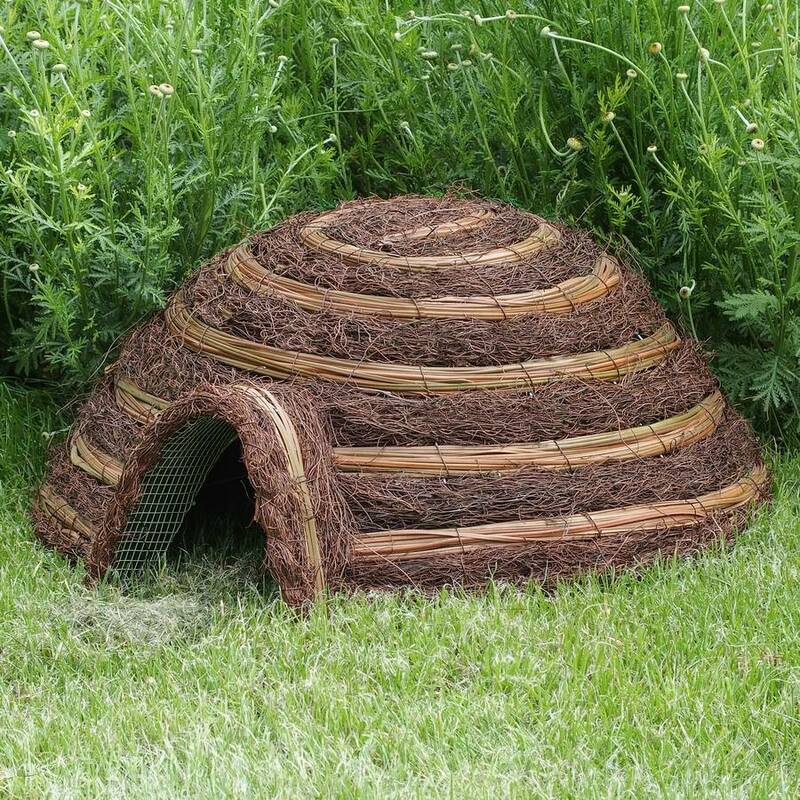 If boisterous dogs or badgers are in the area the igloo and may be anchored down for extra security.